Various analysis and design features, including design pattern, Transitor and visual diff. By establishing references among projects, you can re-use model elements in another project. You don't need to re-create same thing again and again. This not only save your design effort but also keep your model consistent. 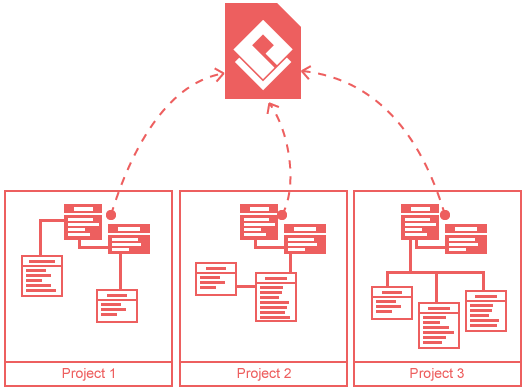 Transfer diagrams and model elements in between referenced projects through refactoring. Clone reference project's model element to current project. Modeling is not just diagramming. It involves model evolving, refinement and traceability. Model baggage is a Visual Paradigm's unique feature for automating model refinement and reusability, making the model transformation process automated, reliable and traceable among models. How to Perform Model-to-Model Transformation with Baggage? Produce a target model from the baseline and start editing. 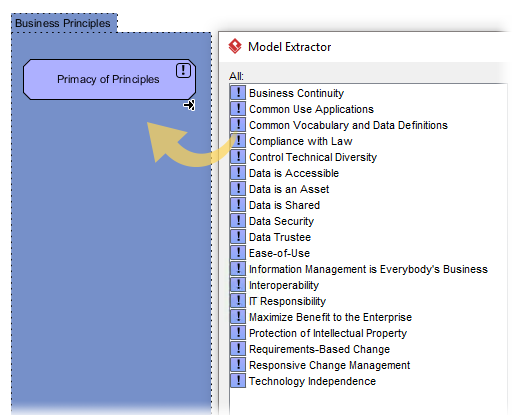 For instance, you may create a Physical ER model from Conceptual/Logical model, or to create a To-be business process model from the As-is model. Traceability is maintained in background, which enables you to navigate through the models smoothly. Create the right type of shapes quickly through the use of the shape legend. It's just a drag-and-drop to create a shape from shape legend and you're done. It also ensures the correctness of your work since it only displays the element type available under the selected viewpoint for the diagram. Use shape legend as a form of annotation that illustrates the type of diagram shape being used. You can also create diagrams with a set of pre-defined shapes for a specific viewpoint. This way you can focus on shapes that are important for that particular viewpoint without being distracted by the huge collection of shapes for visual modeling language. Save time from unnecessary re-work, meanwhile improving the efficiency of progress, through re-using the same elements across architecture models. As part of the shape legend, the model extractor will analyse your project and lists out the existing elements that can be re-used in current design. Choose, confirm, and that's it! No more re-work. Multilingual development team is very common nowadays, and you may need to have your software design translated into multiple languages. Visual Paradigm lets you define multiple naming sets for model elements. There is no need to manage multiple copies of the same design in different projects and it is just a click to switch between languages. Compare two diagrams and identify their differences. 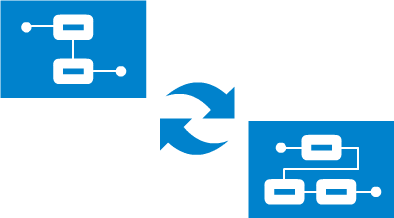 Define stereotypes visually with UML profile. You can specify tagged values and relate stereotypes with generalization and composition. 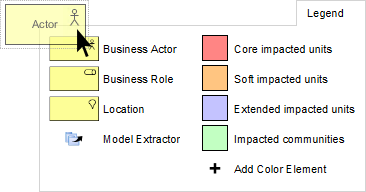 The Model Explorer provides a flexible tree structure to organize diagrams and model elements. Describe your model elements more specifically to your needs. Add custom properties by defining default tags to any model element type. 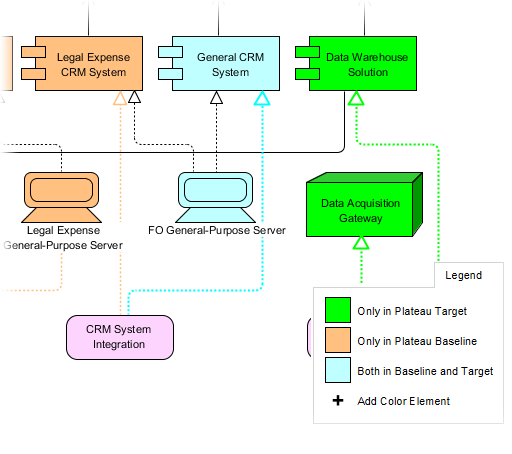 Reuse, refine, elaborate or transcribe portion of previous project's diagram using design pattern.